ping20Si is the world’s smallest, lightest, most affordable Mode S ADS-B transponder. 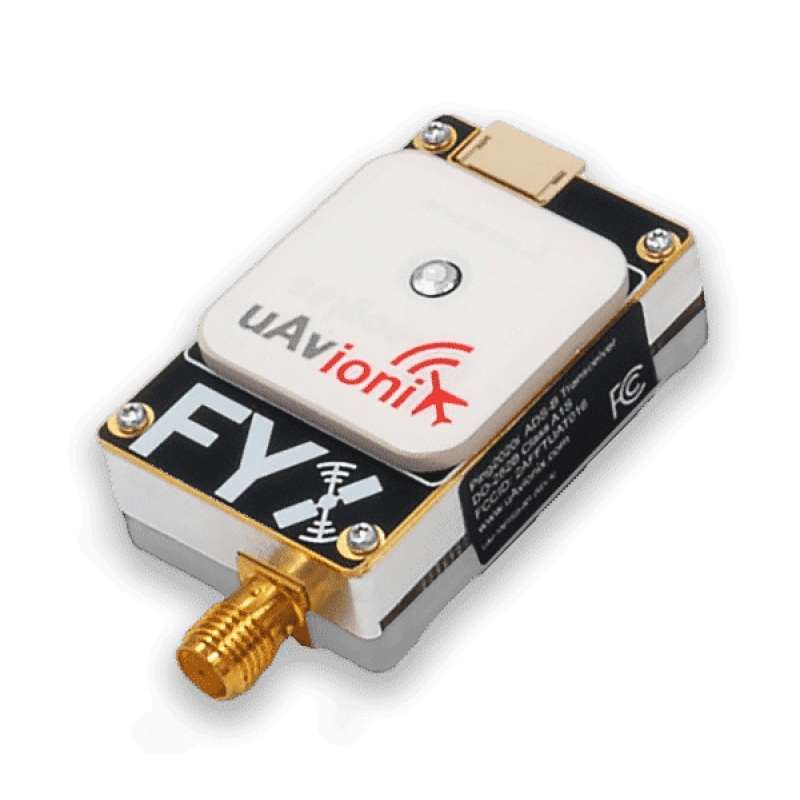 At just 20 grams, it allows drone aircraft to respond to Mode S radar interrogations by ATC and TCAS. ping20Si also transmits ADS-B on 1090MHz. No deviations from the Minimum Performance Standards of DO-181E and DO-260B at 20W nominal output power. GPS and pressure altitude data are provided by the onboard FYXnav position source and integrated barometer. No autopilot integration is required. Simply apply power and program via the ping wireless application. If autopilot integration is preferred, ping20Si is compatible with many popular autopilots.